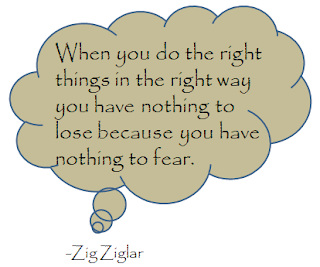 Zig Ziglar, as you know, passed away last week. He wrote many books and received a ton of accolades for his work as a motivational speaker, author, and so much more. He was "the salesman's salesman," according to his website. What can he teach us about the customer experience? He's taught us a lot! The quotes attributed to Mr. Ziglar were as bountiful as the books he wrote and the people he inspired. I've taken several of his quotes and have made the connection between his inspiration and how they can be used to guide you in your efforts to improve the customer experience. From a customer experience perspective, this is simple. Give customers what they want. They want great service. They want to be treated the way that you would want to be treated. They want it to be easy to do business with your company. They want you to stand up for integrity, honesty, and fairness in your dealings. No, the customer is not always right. But the customer is right now. Give customers what they want, and the business will win in the long run. There is no doubt about what this quote means for the customer experience. Every time I hear this quote, I immediately think about Stan Phelps' What's Your Purple Goldfish Project. If you're not familiar, check out the link; that quote pretty much sums up the project. Without question, go the extra mile for your customers; there's no reason not to. There's nothing standing in your way. Forget about selling. Think about fulfilling your customers' needs. Think about helping them solve whatever problems they are trying to solve with your products. Think about building relationships, which is a great segue into this next quote. Isn't that the truth. If you want customer engagement, understand what motivates your customers. Get to know them. Personalize the experience. Facilitate that emotional connection with your brand. I wrote a post a while ago about "forgettability." Make every experience remarkable. Make every experience memorable. Every day is a new day. Every day is a new opportunity to create more memorable experiences. They will pay off in the long run. "Many marriages would be better if the husband and wife clearly understood that they're on the same side." You might scratch your head at this one, but don't do it for too long. Really, relationships are all the same, regardless of which two parties are involved. There are common themes and tenets that make for a solid relationship of any kind: communication, trust, integrity, respect, loyalty. These are good segues into the next quote, as well, but first, if customers know you are looking out for their best interests, then the relationship is much better! See previous paragraph. Incorporate these qualities into your culture and into your customer dealings, and success will follow. 'nough said. "Attitude, not aptitude, determines altitude." We always say to hire for attitude; skill can be trained, attitude cannot. This quote sums that up nicely. The attitude of the person you hire, the person who is interacting with your customers, not only determines their own greatness (altitude) but also the greatness of the customer experience. "Among the things you can give and still keep are your word, a smile, and a grateful heart." Words for not only your frontline - but also the entire organization - to live by. Honesty and integrity. A smile. And gratitude. Qualities of a great customer experience. Solid leadership and a clear purpose are key. Once you have both of those, use your time wisely. While everyone has 24 hours in a day, you don't have that much time with the customer that is standing in front of you. Make the most of that time. Leadership gives employees the tools and the guidance to do the right thing. Connect with the customer and take care of him/her. "When obstacles arise, you change your direction to reach your goal; you do not change your decision to get there." "People do not wander around and then find themselves at the top of Mount Everest." "You cannot consistently perform in a manner which is inconsistent with the way you see yourself." I lumped these three quotes together. They all relate to having a purpose and to focusing on your purpose. Define your purpose, communicate it to your employees, and stick to it. Hold them to it. It will guide you in all your decisions. It will guide you in what is in the best interest of your customers. "You don't drown by falling in water; you only drown if you stay there." Mistakes and bad things happen. Customers won't let you forget the mistakes. You shouldn't forget them either. But they don't define the brand or the organization. Apologize. And move on. "Statistics suggest that when customers complain, business owners and managers ought to get excited about it. The complaining customer represents a huge opportunity for more business." I don't think any of us can question the importance of the voice of the customer, regardless of whether the voice is a complaint or a compliment. 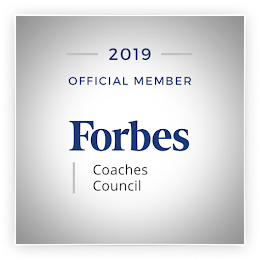 Listen, learn, act, and grow! "Motivation gets you going and habit gets you there." And finally, it's exciting that there is so much focus and emphasis right now on understanding what customer experience means and what it will take for companies to make improvements to theirs. But it's important to remember that it's not a "one and done." Hold on to that motivation. Don't let it fade. Customer experience is a journey. It's not a department; it's everyone's job. Every day. It's becomes a habit. And that's when good things start to happen! Hello Annette pleasure to read this great post you have written. Zig Ziglar was an inspiration to us all. I noticed one small typo in the You can have everything paragraph which has a they instead of the, but fine work. Thank you for reading and for your comment. Yes, he was! Thanks for calling out the typo, too... I'll fix that right away.